For some of us, travel is just a leisure. Travel means having fun in a strange city or in a foreign town or country. It means taking photos at landmarks and famous tourist destinations. But in the world of business, travel means new innovations, new clients, and new business opportunities. 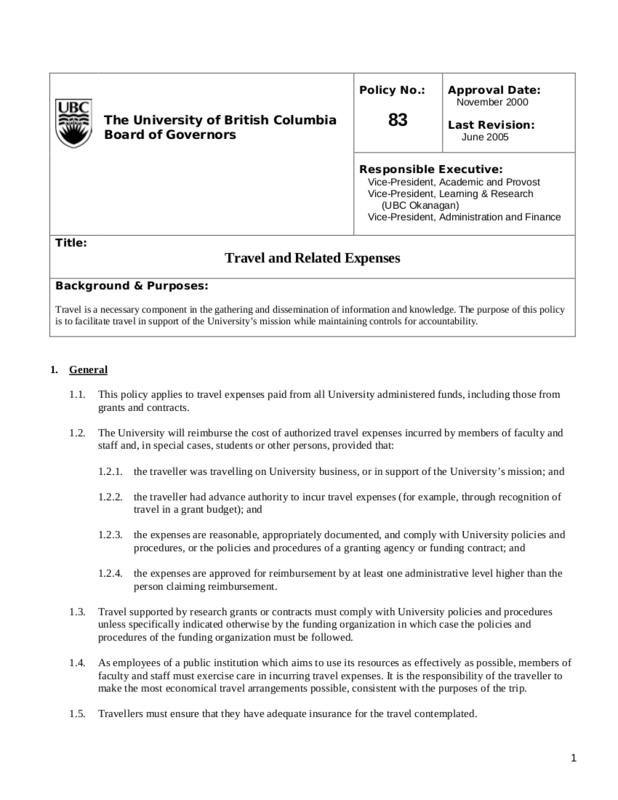 For some businesses that are already established and had reached different ends of the world, business travels helped them in improving their business which could be in a form of having quality products from different countries, having reliable and influential business partners from abroad, or having expansions at cities or countries where their businesses proposal would flourish well. Sure, there are other options where you can interact your overseas business partners without actually meeting them in person, especially in this era where technology is also flourishing. Instead of traveling from one country to another, with the help of technology, you can always contact your business partners via video calls where you can hold meetings and discussions. However, there are downsides to such settings, such as varying time zones and there are also countries that have weak internet connections that hamper video calls. In short, there are downsides to using technology as a substitute for actual human interaction. 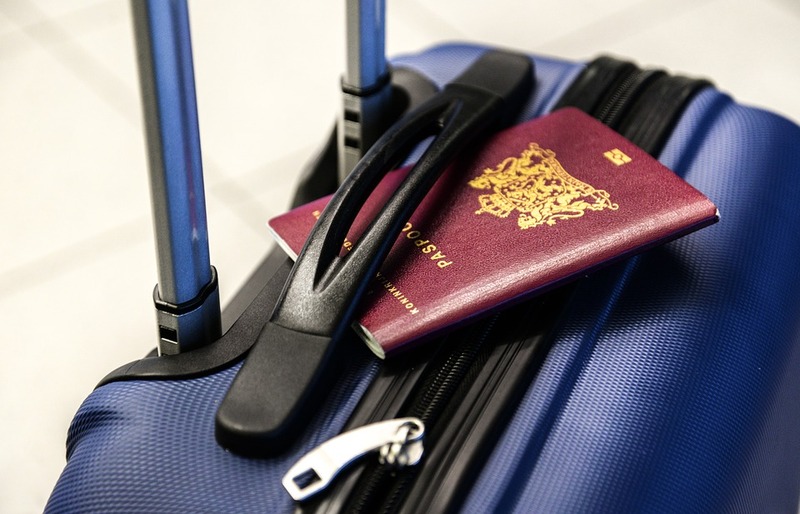 With business travels having proven its importance in every business organizations, business owners may have troubles in managing and organizing travel-related matters within the company. 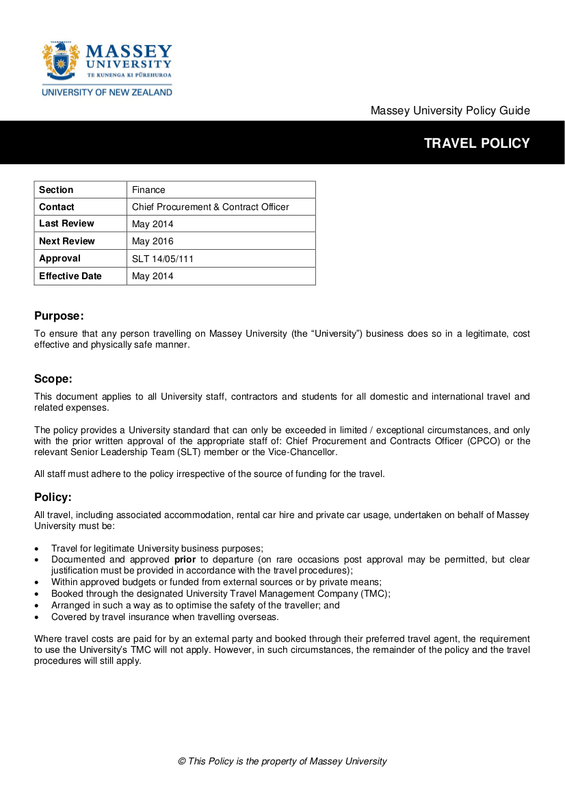 And that is why as the need for travel management arises, comes also with the increasing need for establishing and implementing travel policies. 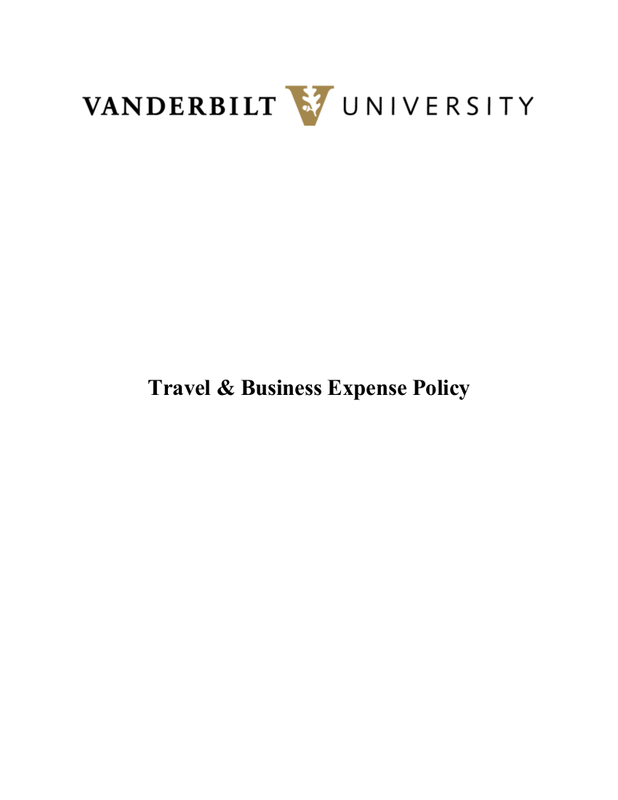 At first, business travels may seem to appear like unnecessary additional costs to the budget of the business. But having business travels has a positive long-term effect on your company. 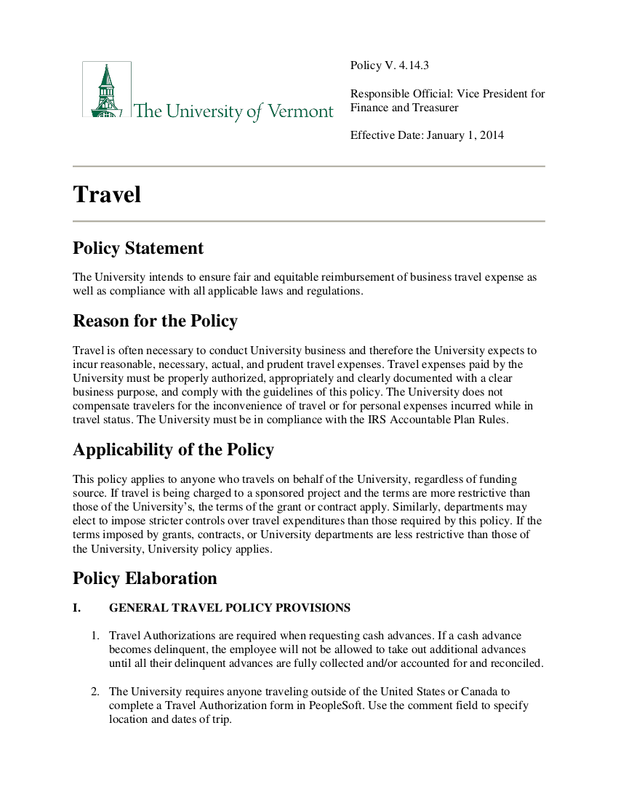 However, you must also prioritize how you manage your business travels with the help of a clear and well-written policy examples that can serve as your guidelines when dealing with travel-related matters in your business. 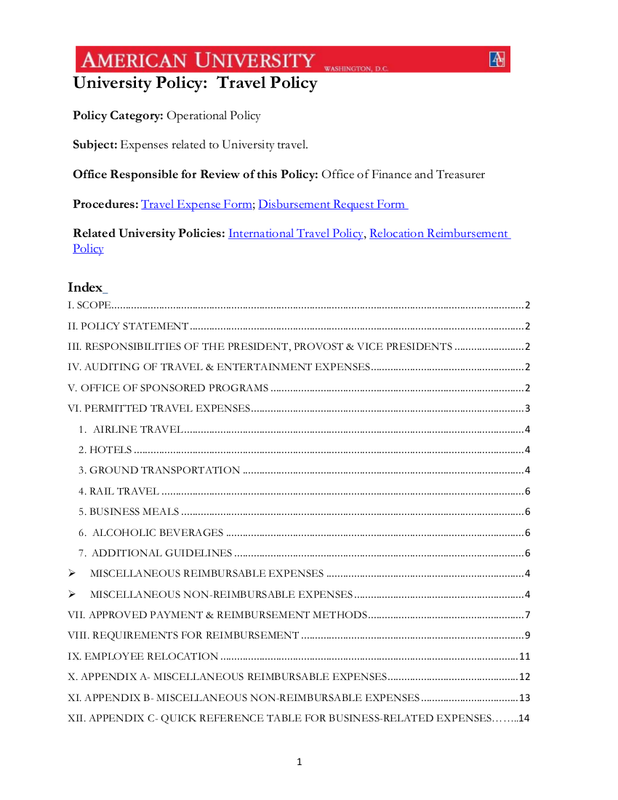 Here are twenty examples of travel policy that can guide you in making or updating your travel policy. 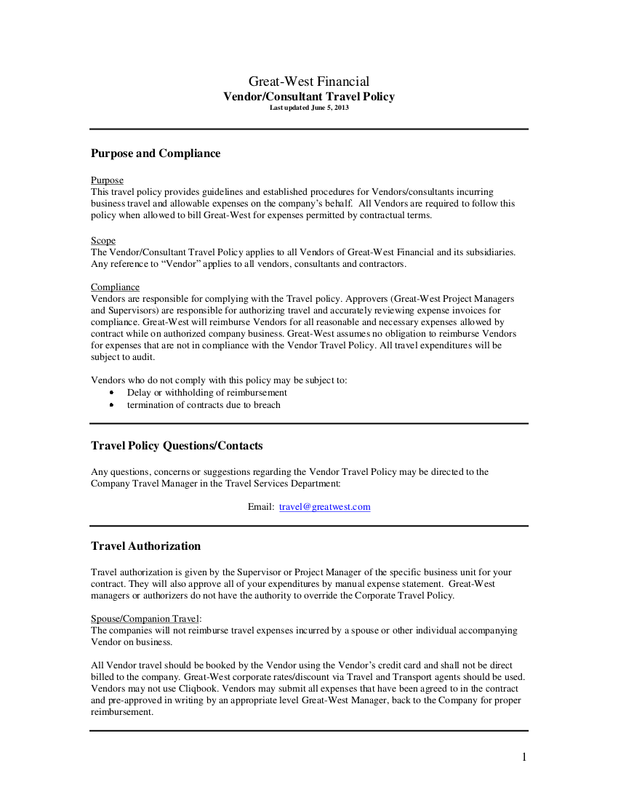 Travel policies save a lot of businesses when booking for tickets and most importantly, the travel costs. 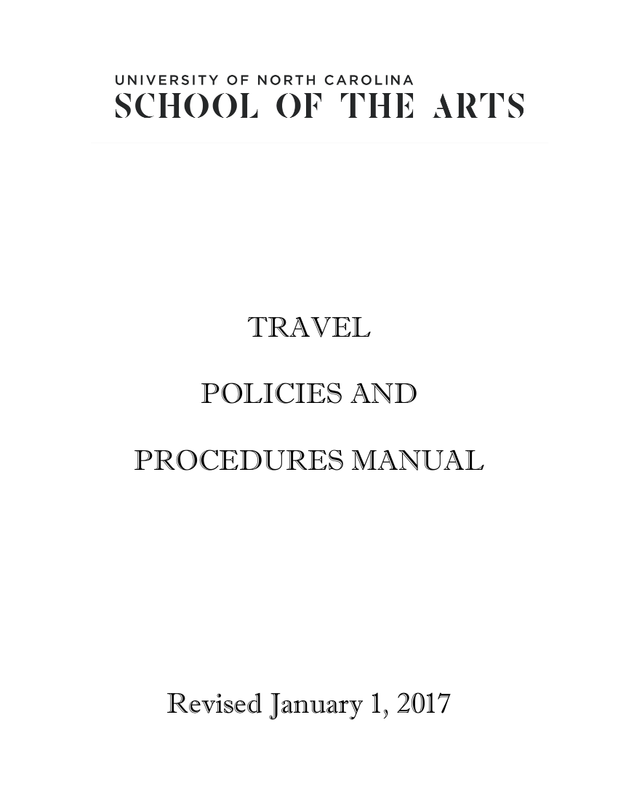 Travel policies do not have to lengthy or wordy; as long as it is comprehensive and effective, it is already excellent to go. 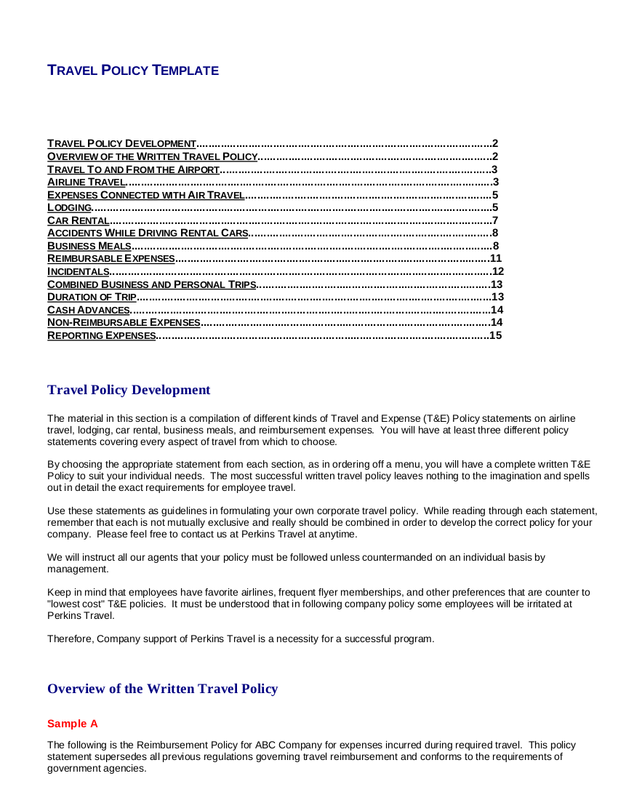 But aside from that, there are other benefits of travel policies, that you can find below, that will motivate you to finally make or update a travel policy that will benefit not just your business but as well as your employees which are the most important asset of your business. 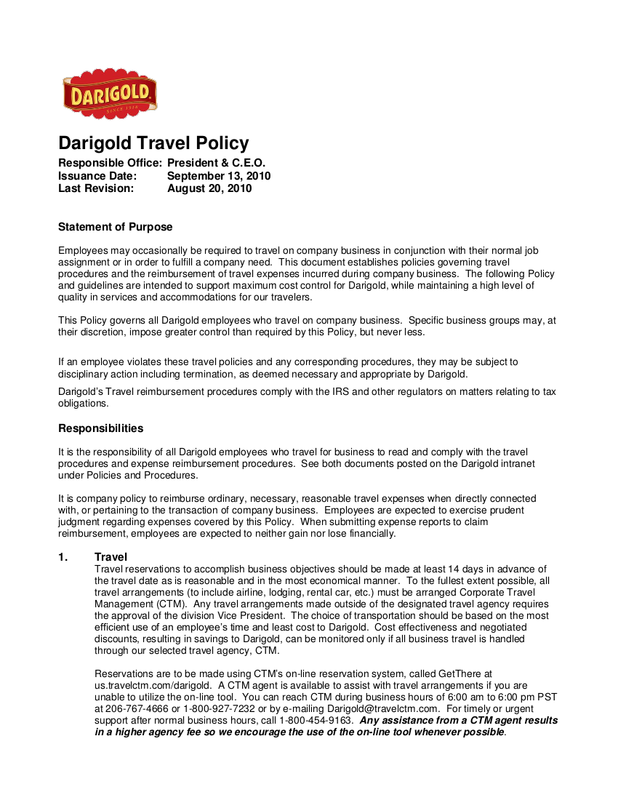 Aside from the need to have a lesser amount of money to be shelled out for unnecessary costs, there are other reasons why your business needs travel policies. It does not mean that you are the business owner, you can go to business class on a plane ride and leave your other employees at the economy class. Not that being in the economy class is a bad thing but this will create a gap between you and your employees and as simple as the difference of plane ride seats can ruin business relations. Have someone who will decide travel schedule and the accommodation beforehand such as the plane, hotel, car rental, and even the place where you will have your meals so that when you already arrive at your destination, you will not waste time looking for places to stay or restaurants to eat. Even if those are little matters, such little matters and indecisiveness can actually take up too much of your time when you can use it for productive ones or even for an extra time to have some leisure time around. 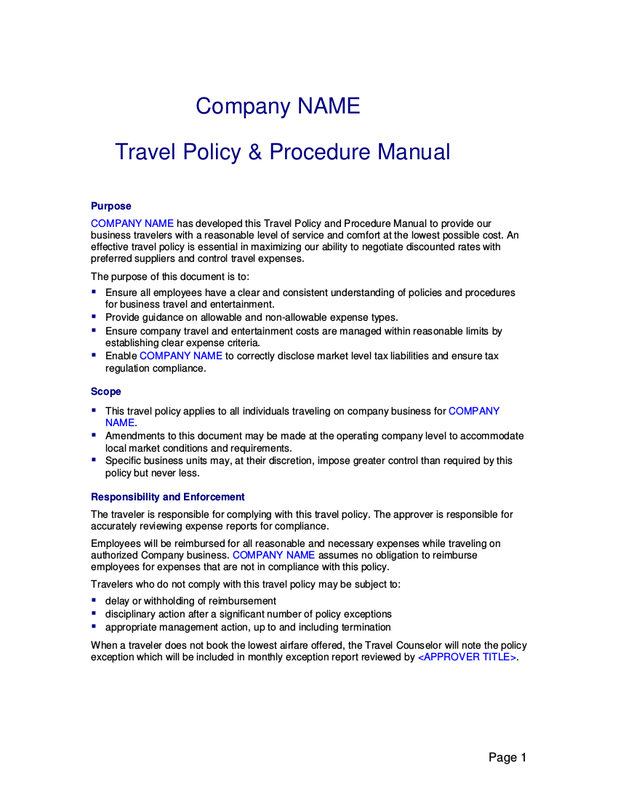 If you are not coming along with your employee, travel policies ensure that your employees who are assigned for a business trip will be safe and comfortable with all the accommodation set for them. 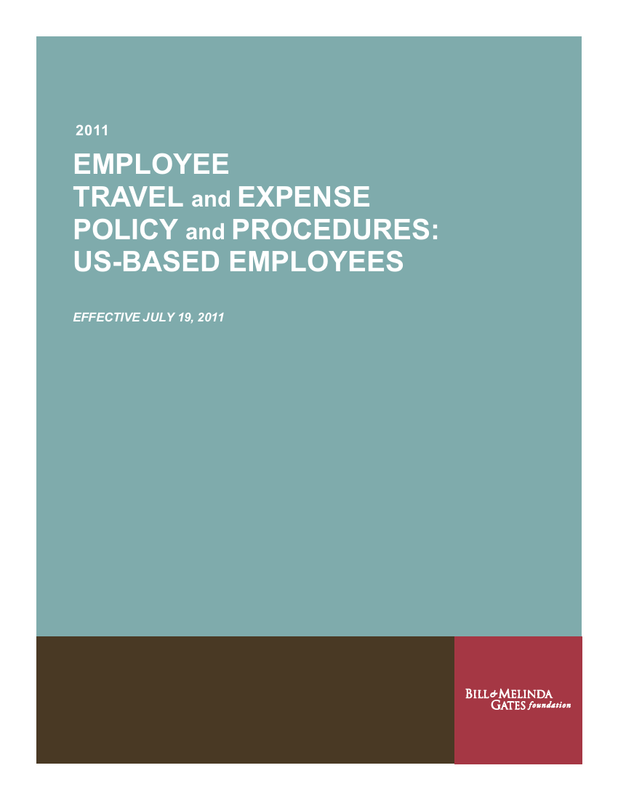 Through travel policies, the kind of hotel, car rental, o restaurant accommodation your employees will have is being taken cared of. Your employees’ safety and comfort should be prioritized since they will be in a different place where anything can happen and what’s worse is that no one could be nearby to help them when they need it. 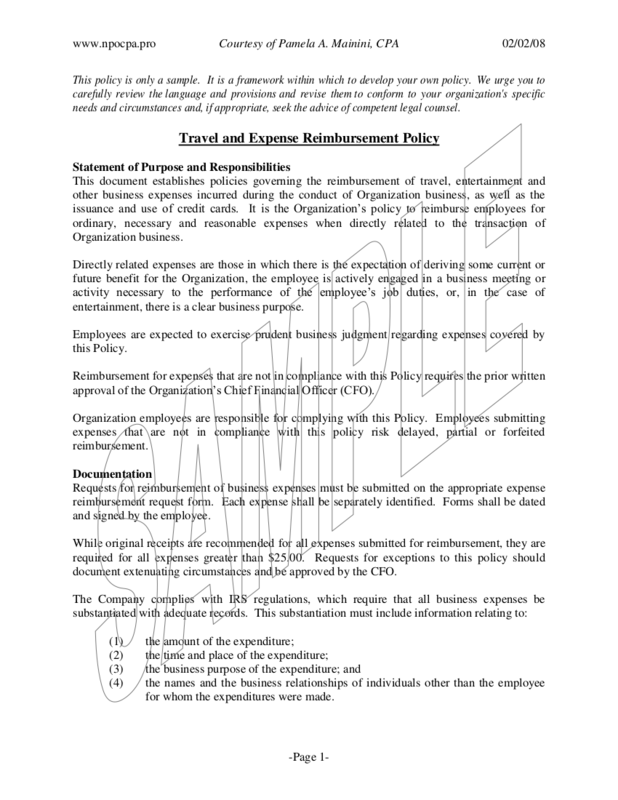 List the expected expenses such as the plane ticket, car rentals, hotel accommodation and meal allowance so that you would not be surprised when you or your employer would request additional allowance. Also, allocate for some emergency funds just in case something unexpected happens like rebooking tickets and accidents. Include an allowance for entertainment as well. Remember the saying that goes “all work and no play makes Jack a dull boy” and give yourself and your employees some break and fun time after overseas work if time allows it. 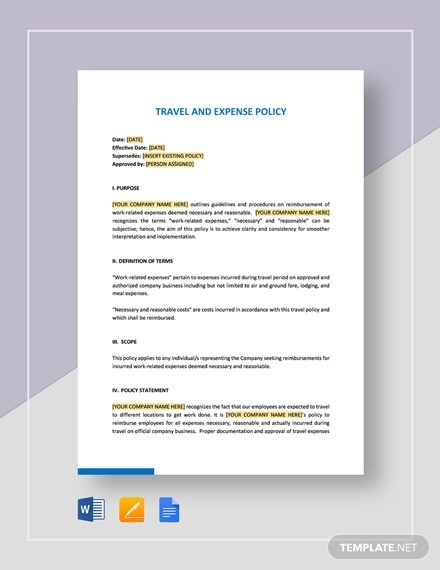 If you have restrictions on booking accommodations, include it as well so that it will be cleared out and explained well to your employees. Not everything your employer will pay for is the company’s responsibility such as toiletries. 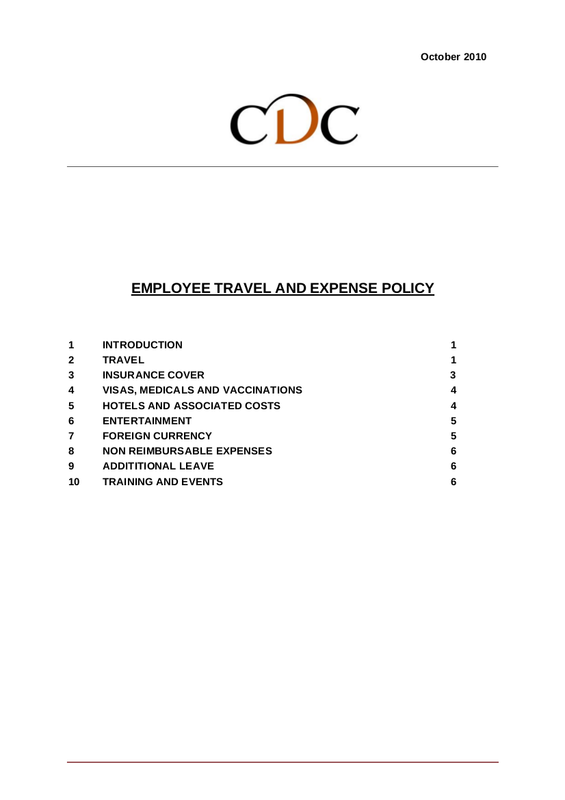 so make sure you make it clear in your travel policies so that it will be clear with your employees on what the travel allowance will be covered. 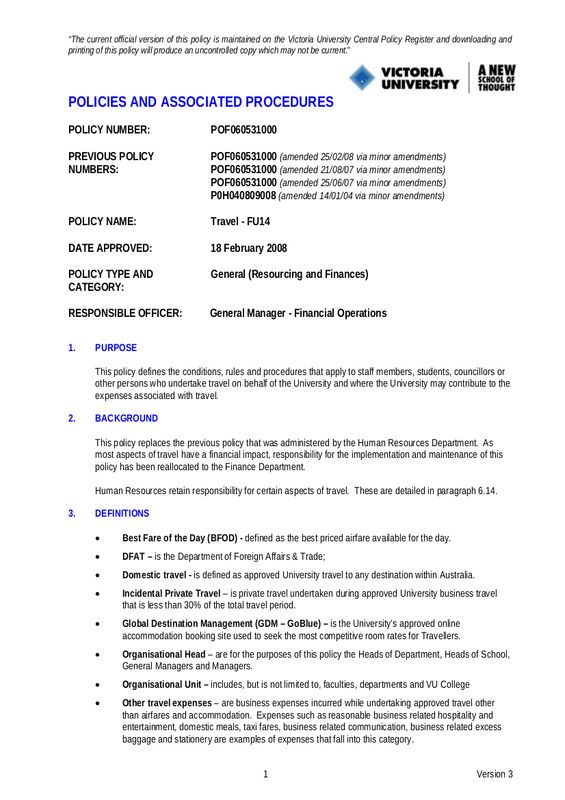 However, since there are also some expenses that should be covered by the company, but there are some instances wherein the allowance would not already make it. For example, when the scheduled flight had some mishaps, your meal allowance had already been consumed and all you have left is your personal money. The company is still responsible for your extra meal since it was not your intention to delay the flight; however, make sure you keep the receipts. Failure to keep the receipts means you get lesser chances of getting a refund. 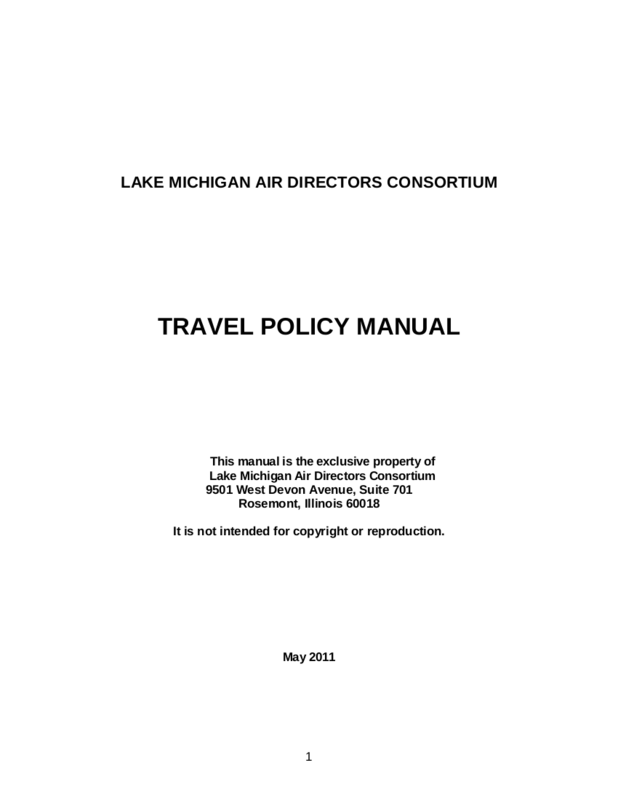 Among the two things mentioned, safety information is the most important thing that you should always include in your travel policy. 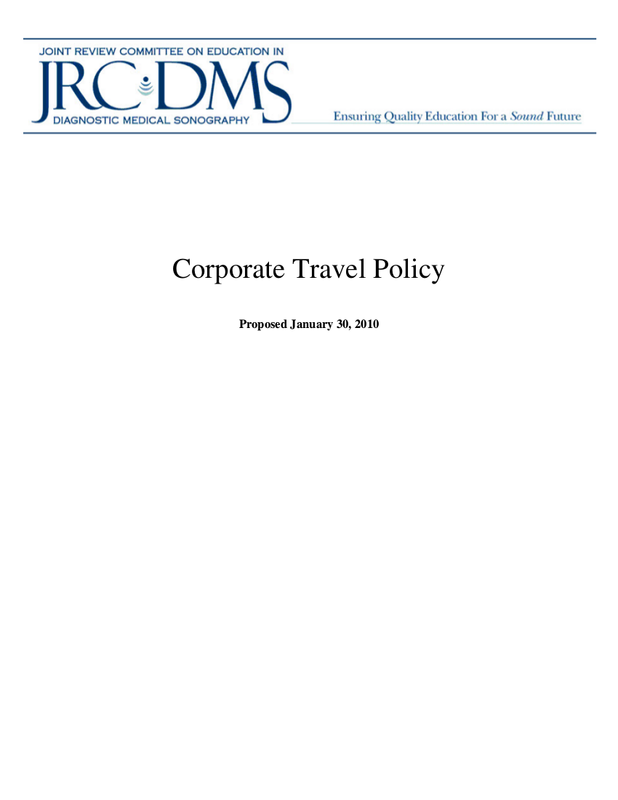 Your travel policy must make you and your employee’s safety and welfare as the top priority. 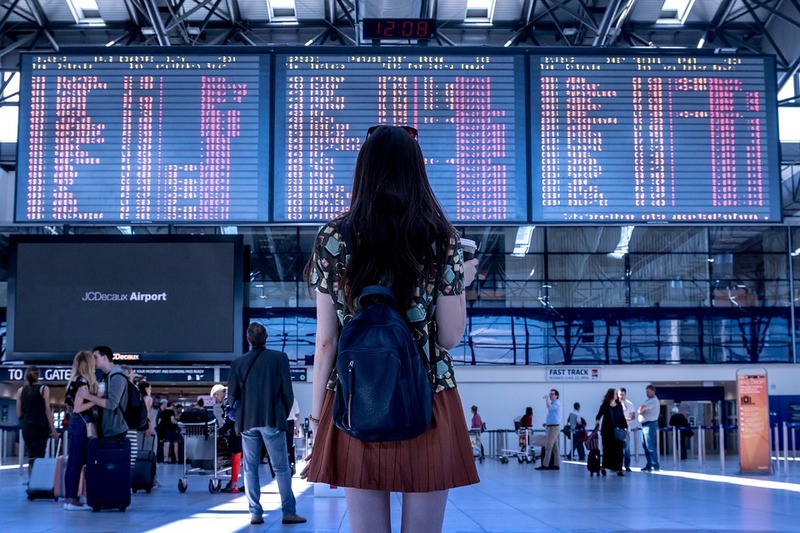 Make sure your travel policy would clearly define how are you going to deal with situations where there is an utmost need for organized travel safety procedures. 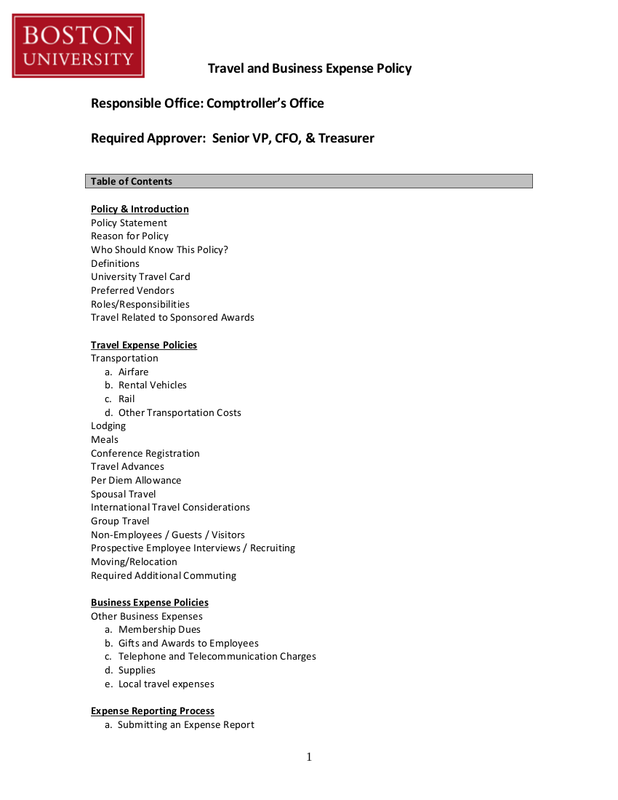 Make it a point that you require every employee should fill-out a form that would contain their basic health information like what their allergies or and also the contact number of their emergency contact person. Remind your employees to always ask for the contact numbers of every accommodation you will avail such as the hotel and the car rentals because it is not only the health’s safety that you should be taking care of but as well as their safety in terms of their surroundings. It is best if you book accommodations that are already established and known so that you would not have a difficulty in contacting them.